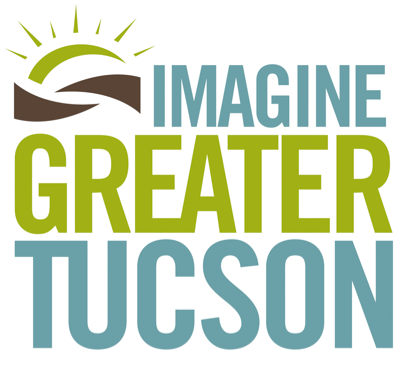 Imagine a Greater Tucson (IGT) is a envisioning process, whereby the public inputs how they see regional growth. After a series of community introductions the process took on community level, hands on exercises, in which public meetings were divided into small groups. Each group has an opportunity to create a planning scenario for Greater Tucson by placing high, medium, or low density paper chips on a large map and labeling future transit, pedestrian/bicycle and private vehicular arterials throughout the region. Several hundred people have participated in the workshops, producing more than 100 maps. The end product will be a consensus. Participants range from very concerned and focused individuals to a bit oblivious to the bigger problems we face growing to over 2 million population. Lets hope the public has the right foresight. Lets hope the IGT findings are embedded into the General Plan or “Plan Tucson”, scheduled for voter ratification sometime after 2011. With so much of a up-zoning component, this is critical for its success. So what does it mean for downtown and the U of A. Most of us know one not so good example of an urban area that impacts us all. That is downtown Tucson. Stakeholders including the U of A see a more positive future. Can this help set a tone for the IGT goals? One common theme seen in the IGT exercises is more density and urban edge expression along key transit routes all through out the region including downtown designations in outlying charter centers. The end product will be interesting. 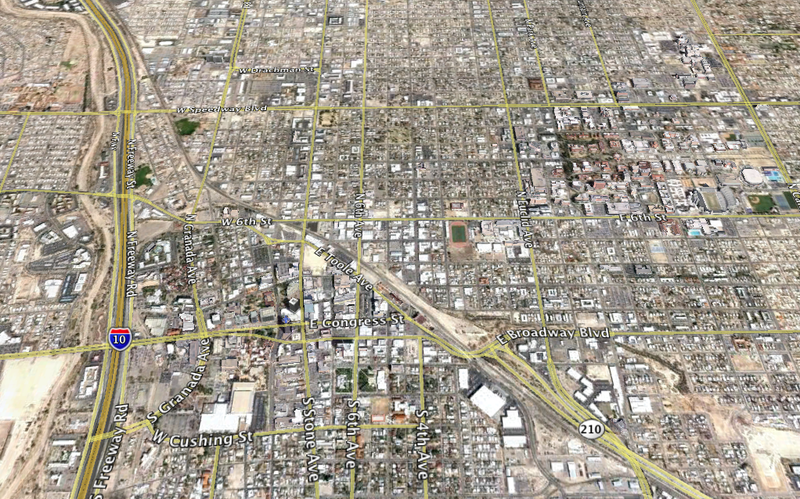 Closer to downtown Tucson, we have an example in the works; the 4 mile stretch of the modern street car route linking downtown with the U OF A and the adjacent aviation corridor connection through the warehouse district. See downtownLINKS. One of Tucson’s more fiscally conservative republican councilman, Steve Kozachik, is itching to tackle the up zoning and development strategies along this small 4 mile streetcar corridor to make it a worth while investment. Is this a model for the larger task of playing out the goals of the IGT process? Stay tuned.